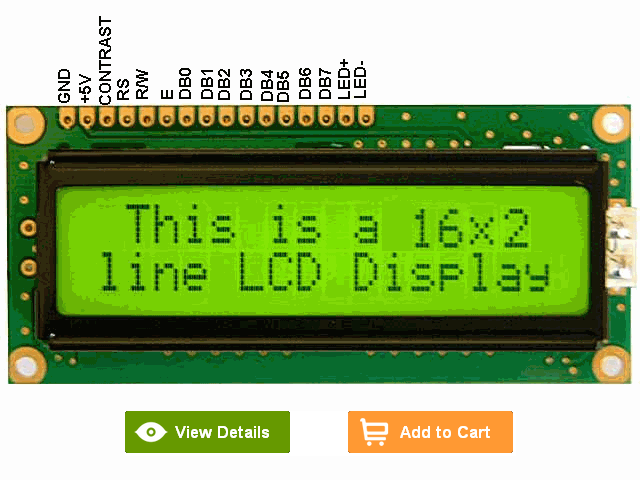 The purpose of this page is to give a brief tutorial on how to interface with Hitatchi 44780 based LCDs. I have tried to provide the all the data necessary for successfully adding LCDs to your application. Highlighted commands are most commonly used. "*" - Not Used/Ignored. This bit can be either "1" or "0"
Reading Data back is best used in applications which required data to be moved back and forth on the LCD (such as in applications which scroll data between lines). The "Busy Flag" can be polled to determine when the last instruction that has been sent has completed processing. In most applications, I just tie the "R/W" line to ground because I don't read anything back. This simplifies the application because when data is read back, the microcontroller I/O pins have to be alternated between input and output modes. For most applications, there really is no reason to read from the LCD. I usually tie "R/W" to ground and just wait the maximum amount of time for each instruction (4.1 msecs for clearing the display or moving the cursor/display to the "home position", 160 usecs for all other commands). As well as making my application software simpler, it also frees up a microcontroller pin for other uses. Different LCDs execute instructions at different rates and to avoid problems later on (such as if the LCD is changed to a slower unit), I recommend just using the maximum delays given above. Wait more than 15 msecs after power is applied. All following instruction/Data Writes require two nybble writes. 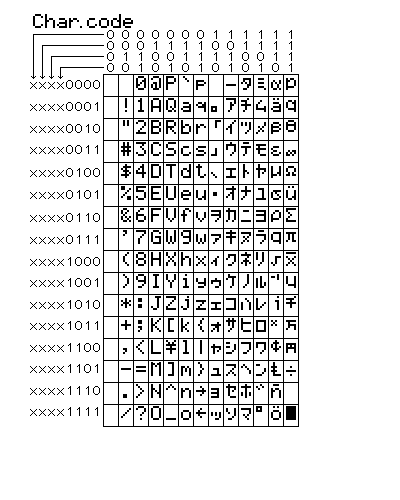 The Character Set available in the 44780 is basically ASCII. I say "basically" because some characters do not follow the ASCII convention fully (probably the most significant difference is 0x05B or "\" is not available). The ASCII Control Characters (0x008 to 0x01F) do not respond as control characters and may display funny (Japanese) characters. We have seen all the basics of LCD now lets move to interfacing techniques. VEE(Contrast)=> Connect this pin to ground through 1KOhm Resistor for best suited contrast value.